The newest issue of Lonny is out! YAY! Congrats to everyone who worked on it, they did a fabulous job! I don't know if it was just me, but I was totally drooling over the delicate lace pattern around the door frame! It reminded me of this stencil from Royal Design Studio. I'd love to do this in my powder room! 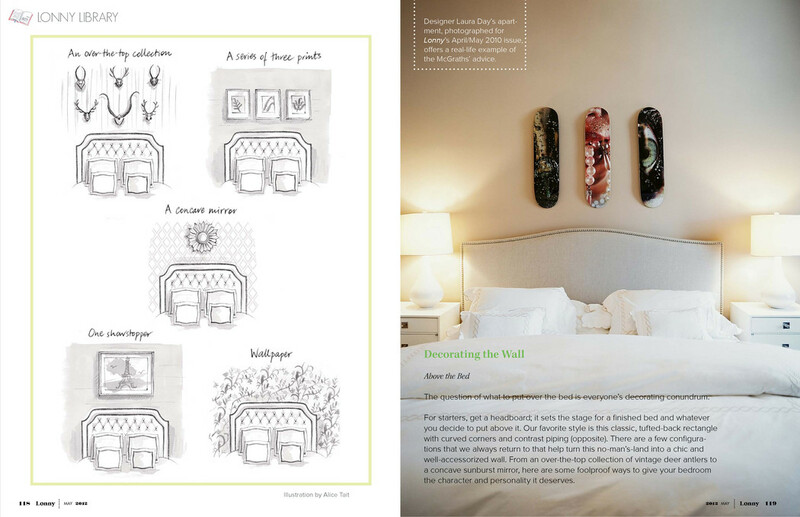 I was inspired by the different examples they gave for decor over the bed! 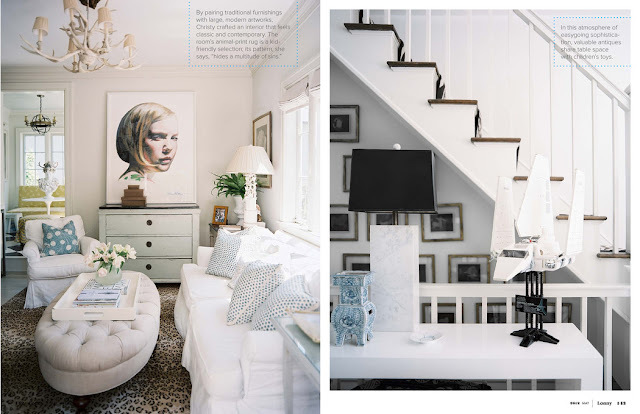 Christy Ford's home (below) had some great reminders on how to keep a kid friendly home. Is that a Starwars fighter out on display??? Awesome! 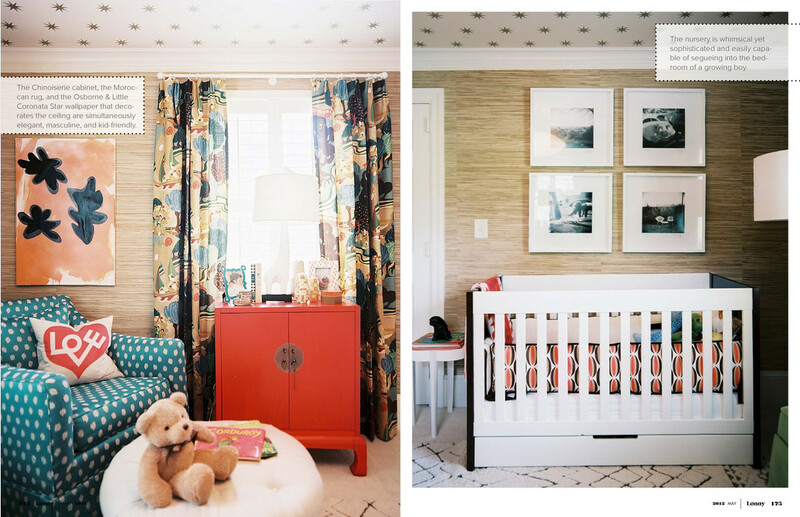 I thought this was a fun and eclectic nursery that would be great for kid as they grew up! P.S. Be sure to check back here on Monday for a book review and my very first GIVEAWAY! Love Christy Ford's home with the soothing color palette and the wonderful tufted ottoman. The kitchen in the last image...perfection!! 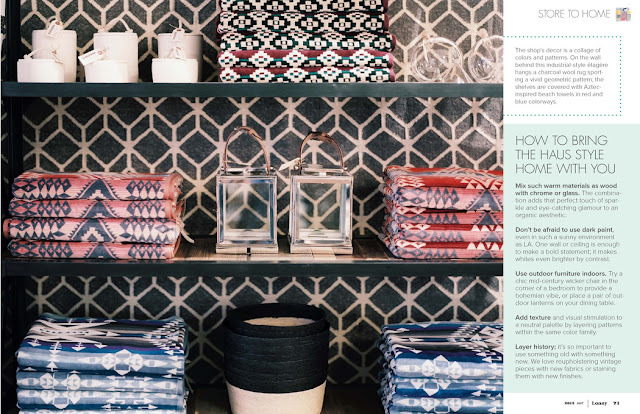 I haven't had a chance to check out the new Lonny magazine yet, but now I am beyond excited! Lonny never disappoints...thanks for sharing!